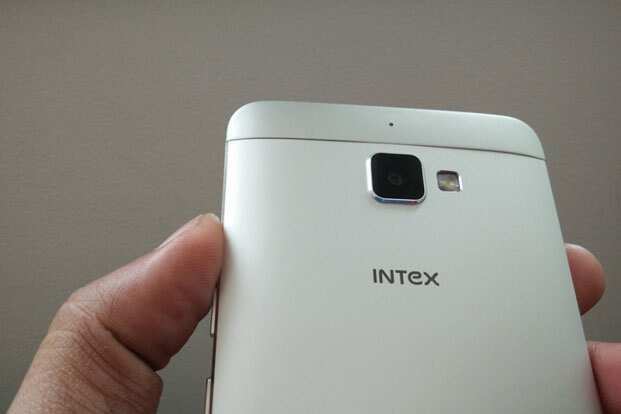 Intex has done a pretty good job when it comes to the phone’s design. It has solid lines, with a brushed aluminium finish on the back and the spines. At 175g, it is far from being called lightweight. The phone feels firm in the hand due to its non-slippery finish and the arched back design. The physical keys on the side panel are metallic too, but wobble a little. This is one of the few smartphones with a dedicated camera button. The back panel includes a wide and powerful speaker and a 13-megapixel camera which protrudes a little, making it prone to scratches and damage. The Aqua GenX has a 5.5-inch display with screen resolution of 1920x1080p. It is a good looking screen overall, with colours that look rich and text which is quite crisp. The visibility from odd angles is also spot on without the colour and contrast getting spoiled enough to make viewing the screen difficult. But due to the reflective nature of the display, visibility in sunlight is a little poor. The screen size makes it just right for gamers as well as readers. 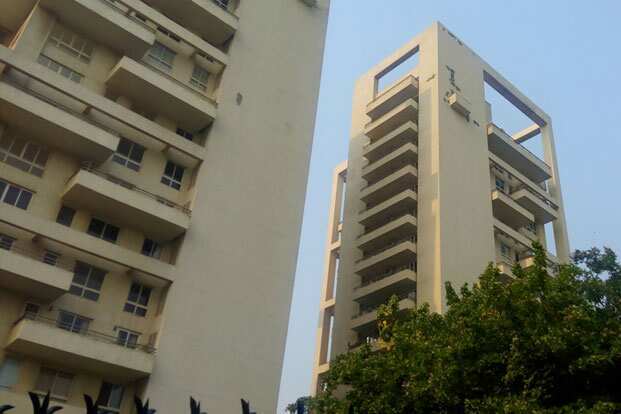 Intex has used Asahi DragonTrail Glass to protect it against scratches. 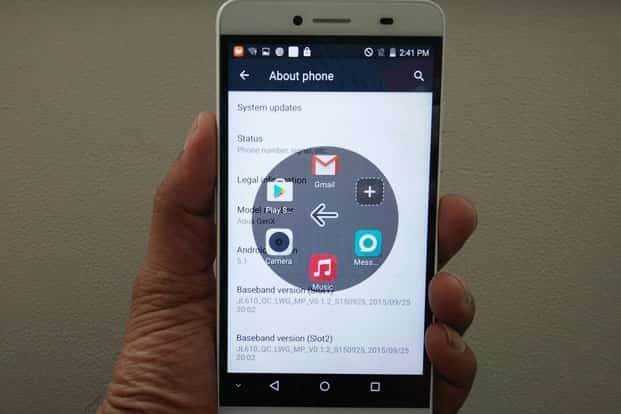 The smartphone runs Android 5.1 (Lollipop) with a custom UI. Like most Indian smartphone makers, Intex doesn’t really leave it with the default plain Google Android interface. This interface looks a lot like what many Chinese smartphone makers deploy on their phones, with no separate app drawer. Even the app icons have been redesigned but don’t look very lively. Also, there are very few customisation options available. The interface has a short-cut feature called MyTouch. It is a circular icon that shows on the home screen and by tapping on it you can access up to six pre-selected apps. This is a handy feature and allows users to switch tasks almost instantly. The smartphone runs on a Mediatek MT6753 octa-core processor with 2GB RAM. This is a fairly powerful processor and has been used in a number of low-cost smartphones priced between ₹ 5,000 and ₹ 15,000. Though the interface doesn’t feel very nippy, switching between apps and multi-tasking was quite smooth. It even handled games such as GT Racing 2 or Smash Hit without any niggle or heating up on the back. The phone offers 16GB of internal storage and can take in 128GB micro SD cards. It is a dual SIM phone and supports 4G networks. Battery back-up is average. The 2,850mAh battery can muster a day’s back-up at most. The 13-megapixel camera works well in terms of colour reproduction, particularly in outdoor conditions. However, it lacks in sharpness and detailing. One can see noise clearly on the bigger screen. Also, it feels a bit slow at times. Low-light results are poor and noise ridden. The 5-megapixel camera on the front is clear and wide enough for group selfies. 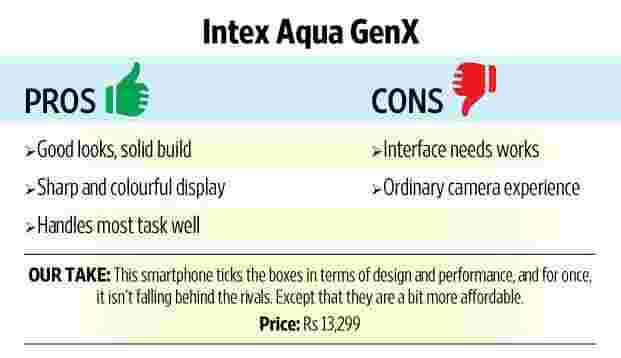 The Intex Aqua GenX is a solid budget smartphone, with a rugged build and dependable performance. In case you are looking for something more powerful and slightly better features, the Redmi Note 3 ( ₹ 11,999) or the Moto G turbo ( ₹ 12,499) are good options. The Redmi Note 3 is lighter, has a better camera and also offers more storage as well as a finger print sensor. The Moto G Turbo has a water and dust resistant body, runs the latest version of Android and, perhaps, offers better performance because of the cleaner interface.